Money in the Garage: Check out these low, low prices on electronics! Check out these low, low prices on electronics! Remember electric typewriters? Since the advent of desktop computers and printers, they’ve mostly become a thing of the past, but can you believe there’s still buyers out there for them? It’s true. I’ve flipped a handful of old-school electric typewriters over the last few years. One model, the Smith-Corona SL-600, keeps surfacing in some of my local Goodwill stores. Weirder still is the fact that I often find this model in pristine condition in it's original packing material and box. I am not sure what the story is, maybe folks buy them and never get around to using them? For whatever reason, if it’s mint condition in the original box, I am a buyer. The typewriter seen here set me back eight dollars. I turned around and flipped it on Ebay for $50. 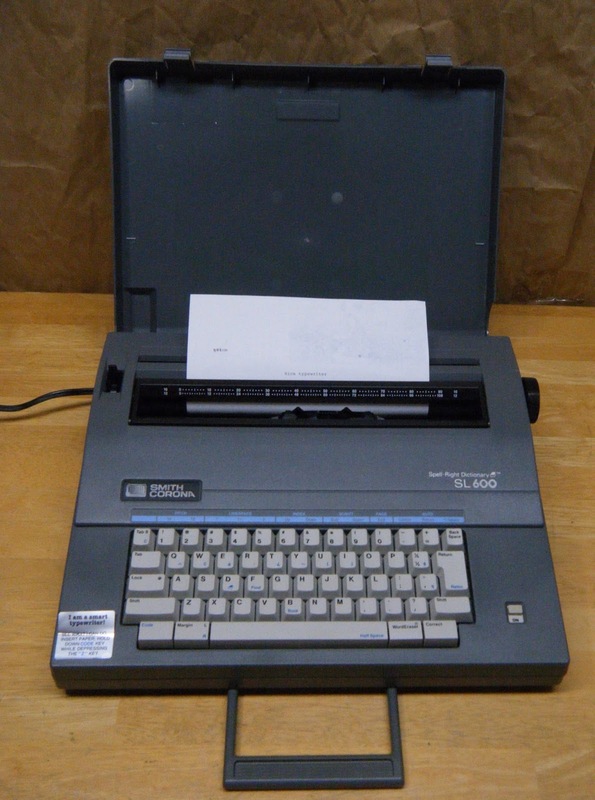 This particular model was pretty basic, but more sophisticated typewriters with spell check features can bring in even more money. A word of caution however: make sure you charge enough for shipping. Typewriters are big and heavy. If you are not careful in calculating a shipping rate, postage could cost you big money. Turn them into big money! Switching from work related stuff to actual fun stuff, the market for good quality turntables can be very good. I’ve made some excellent flips selling "old school" turntables. There’s plenty of Audiophiles who still prefer to listen to their music on “vinyl” rather then downloaded tunes. I am by no means an audio expert, but I do know that direct drive is preferred over belt driven tables. 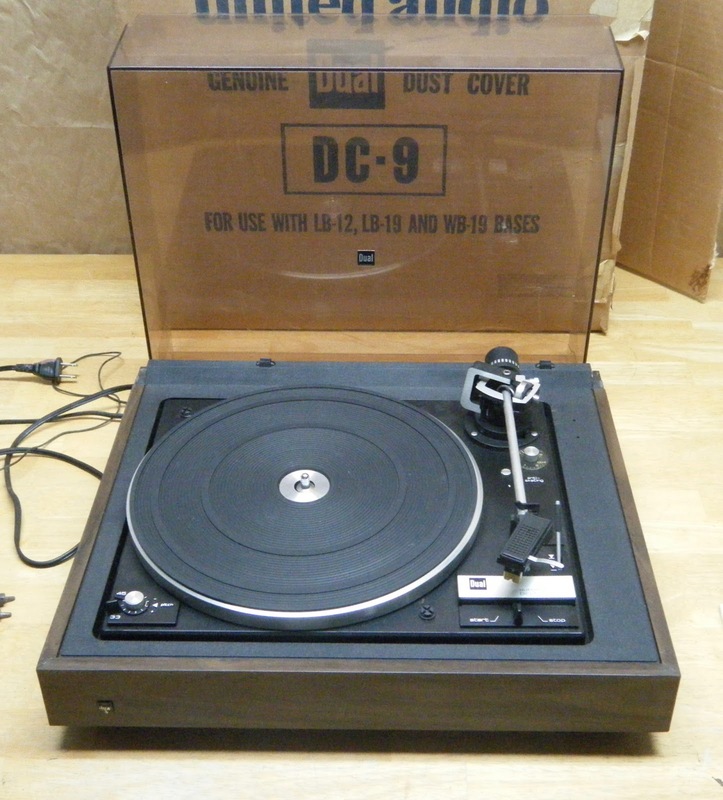 The model seen here fits that description; a Dual DC-9, direct drive turntable. I bought it last fall at a yard sale. The seller was asking $25 dollars. While she claimed it still worked, she admitted she hadn’t actually used it for years. My usual negotiating tactic is to point out that if it didn’t work, it could run into serious money trying to repair it. The seller was a tough cookie, and we went back and forth until she finally agreed to let it go for $17 dollars. When I got it home, I tested it out. To my untrained ear it seemed to be functioning fine. Ultimately, I knew that even if there was a minor problem or two, it wouldn’t make or break any potential deal. 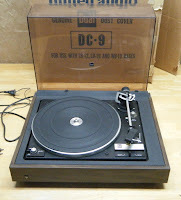 Most collectors know they are going to have to do some tinkering with an old turntable anyway. I decided to skip an eBay listing and use Craigslist instead. I wasn’t about to mess with the shipping hassles that go along with an eBay sale. A few days later, a serious vinyl guy came by to take a look at it. He pointed out a few flaws that only an Audiophile would see, but handed over $75 dollars for it anyway. Flipping answering machines is a calling . As mentioned earlier, buying older electronics can be risky, but why not remove any risk by flipping something new in the box? Often referred to as "New/Old stock”, you just can’t beat flipping vintage electronics that are sealed in the original box. 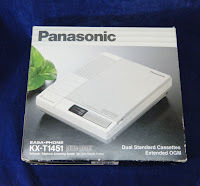 Not long ago, I came across a new/old stock Panasonic answering machine in the original box at a local thrift shop. The price was right at only eight dollars. Like electric typewriters, there are buyers who prefer the old style answering machines that use little cassette tapes. While my answering machine looked near-new, it can be tricky to determine whether devices like an answering machine have ever been put to use. But being the crack flipper that I am, I look for a few tell-tale clues. One; does it show any signs of dirt, dust or wear? If it’s been used, most devices will have some dirt or smudges on it somewhere. Another clue is the packaging. If the devise has never been used, the components should all be tightly nestled in the styrofoam packaging. A big tell-tale sign are the wires and plugs. If the wires appear to be neatly factory packed and bound together with little twisty ties, there’s a very good chance the device has never been removed from the box. My Panasonic answering machine met all these criteria, making it an easy decision to buy. Since it was new, I only needed a few quick pictures for the listing. I posted one showing the outside of the box and another showing the answering machine still cradled in the styrofoam. That seemed to do the trick. A day after it was posted, the Panasonic sold for a "Buy it Now” price of $50 dollars. You got to love that! Old school boomboxes are booming business! Speaking of Panasonic, check out this big old, Panasonic boom box from back in the day. I found this monster at Goodwill a few months ago. The store manger told me he had just put it out on the floor, adding that he personally tested it and it worked great. I decided to see for myself and began playing around with the radio’s different features. Other then being a little dirty and dusty, the radio seemed to work fine and sounded awesome. At only seven bills, the boom box was ridiculously priced. Adding to the deal, the manger had loaded six brand new “Mad D" batteries in the back. (The batteries alone probably cost seven bucks!) 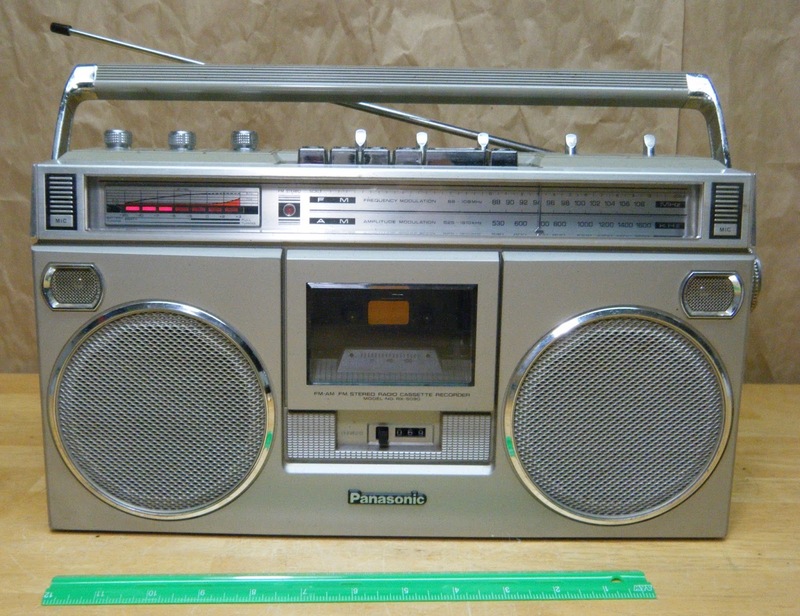 Old school boom boxes are bringing in seriously crazy money on eBay's auction website. In fact, the older, bigger and more bells and whistles they have...the more dough they bring in! My Panasonic boom box had a lot of those features going for it. Not one to pass on a sweet deal, I grabbed the heavy radio and marched it right up to the front counter. Once back home, I did my best to clean up the dust and dirt with some paper towels and my always dependable bottle of Windex. After cleaning it up, I posted the boom box on eBay for a ten day auction. At nearly a week and a half, this would provide plenty of time for buyers to find it...then drive up the bids. The strategy worked. 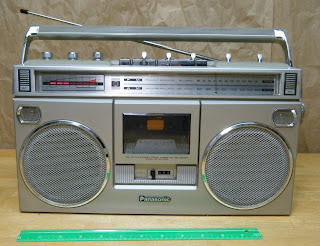 My Panasonic boom box topped out at $153 dollars...nice ! That’s a quick look back at a few of my recent electronic finds and flips. You have any similar scores to share? Go ahead and post them in the comment section below. Grace-That is something to definitely look out for. The ideal new/old stock is an item someone buys, but never puts to use. Christmas gifts are a good example-lol! Thanks for writing in and sharing...Dude! Great info! I always find your posts very informative and enjoy reading them. Thanks, I appreciate the positive feedback....Dude! I want that boombox. I have only sourced one and it was a Sanyo, so not the best name but did make some money. Yeah, boomboxes are tricky. I come across many in the thrift shops, but only certain models bring in the big bucks. Rule of thumb on them...the older the better.